The Chalked Oak Bedside with 3 Drawers, is beautifully designed to fit into any modern or traditional environment. 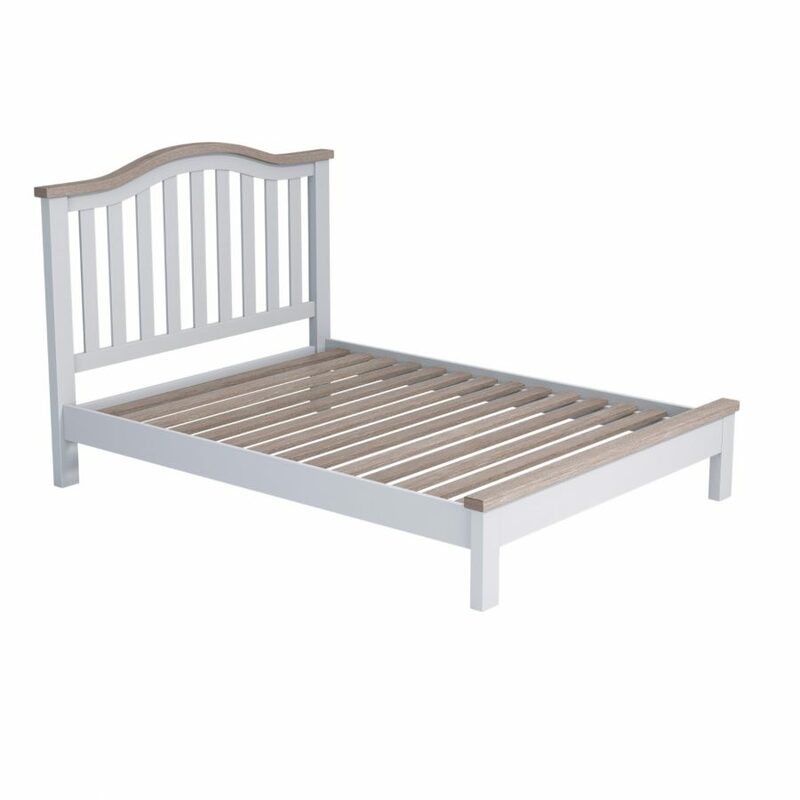 It has a soft, Chalked Oak base, and off-white body so that it’s easily suited to most decor. 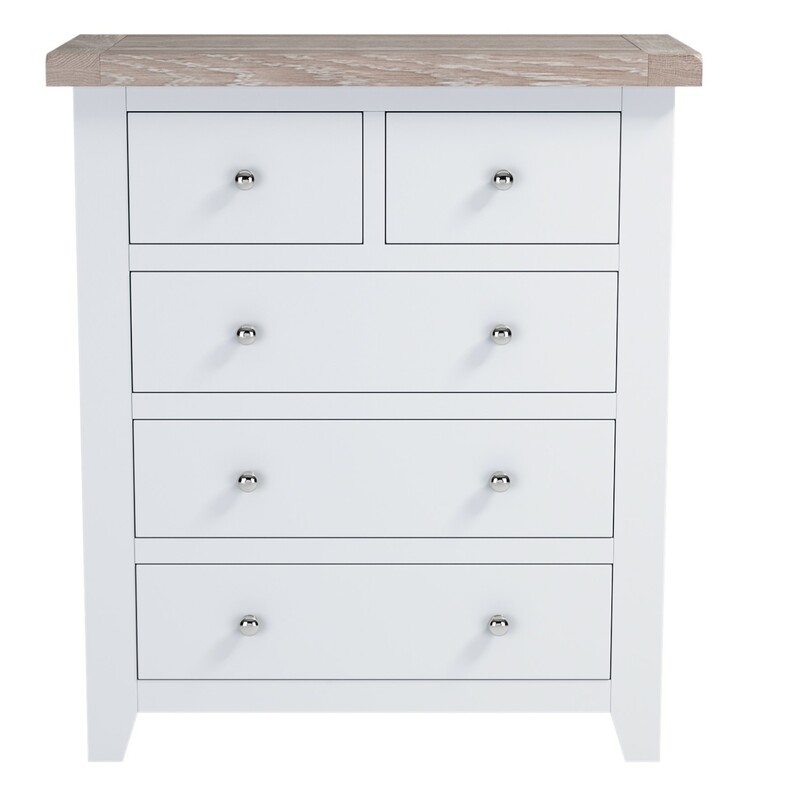 The Chalked Oak Chest of Drawers, is beautifully painted off- white with a smooth Chalked Oak top. 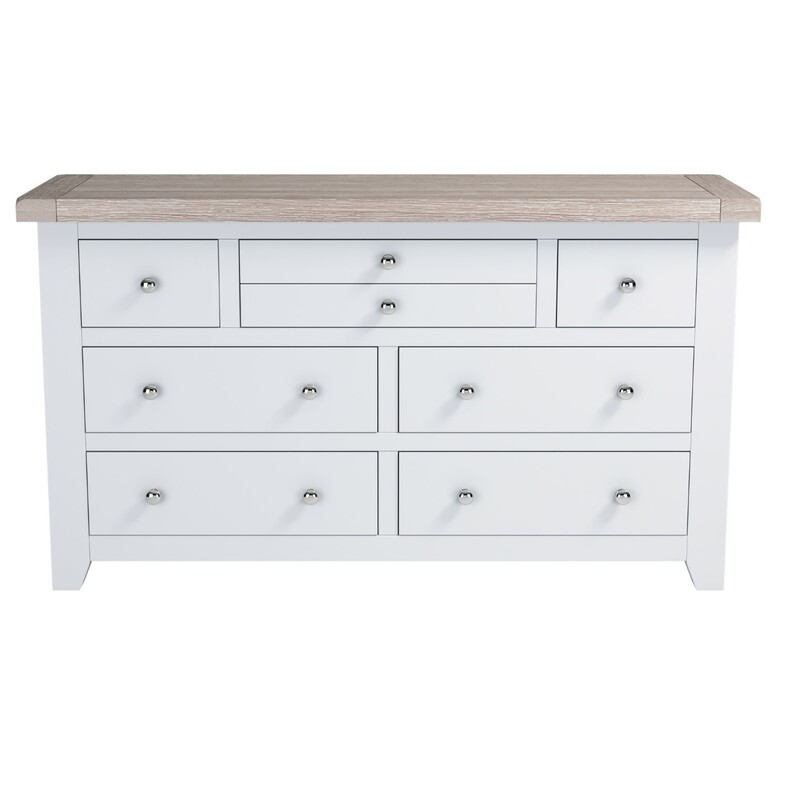 Complete with 2 smaller drawers and 3 larger ones, this unit also provides plenty of storage space. 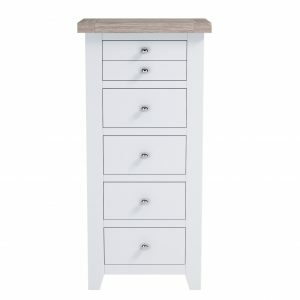 The Chalked Oak Chest Of Drawers, provides excellent storage space. 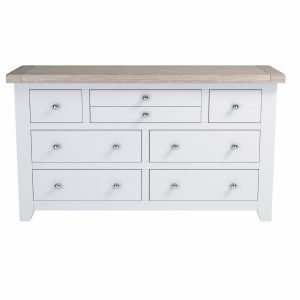 The spacious drawers are ideal for large or small items. 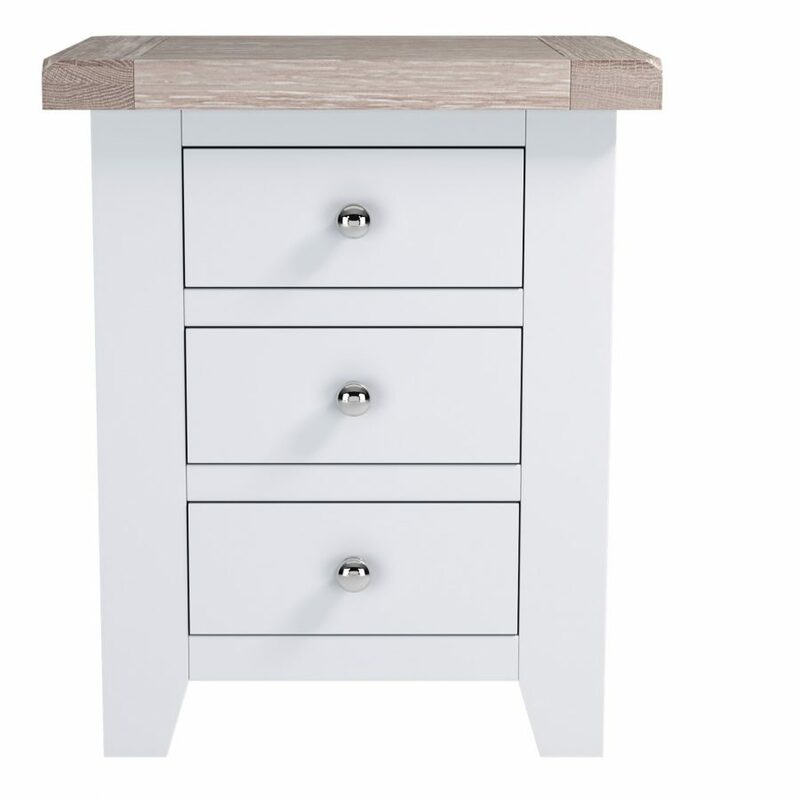 The Chalked Oak top and off-white painted body creates an eye catching, modern yet traditional look. 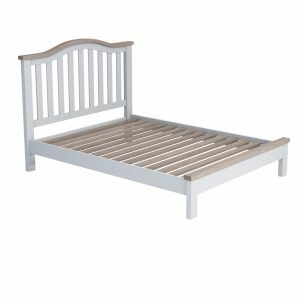 The Chalked Oak Curve Double Bed, is delicately painted in off-white and finished with a curved, slatted headboard. Modern and stylish, this bed would look amazing in any bedroom. 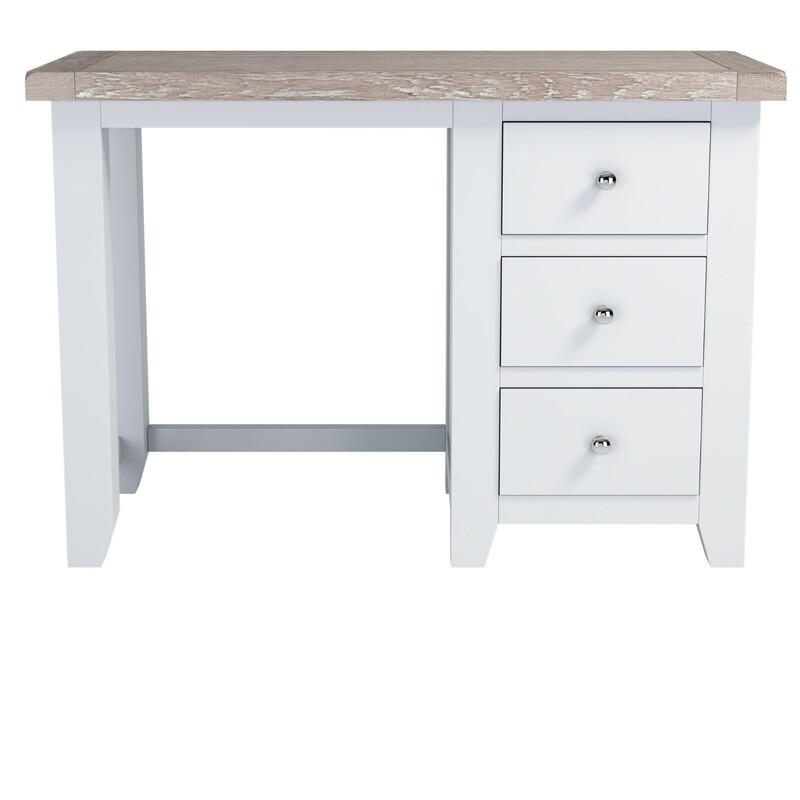 The Chalked Oak Dressing Table has a beautiful Chalked Oak top and off- white painted body. 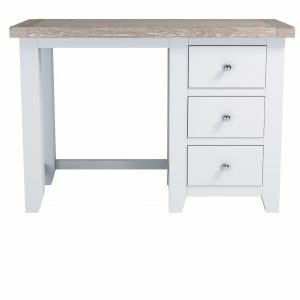 This helps to create an eye catching, and also modern look. The Chalked Oak Queen Curve Bed, is delicately painted in off-white and finished with a curved, slatted headboard. 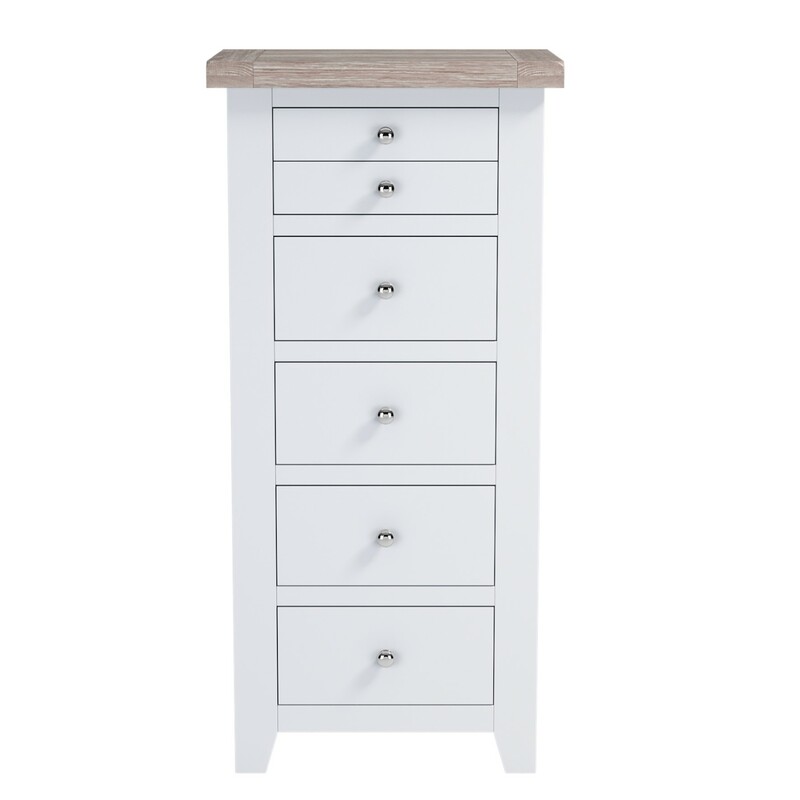 The Chalked Oak Tall Chest with 5 Drawers, is beautifully painted off-white with a chalked oak top. 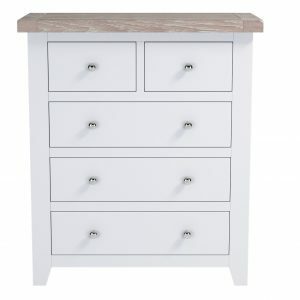 Complete with 5 large, spacious drawers. 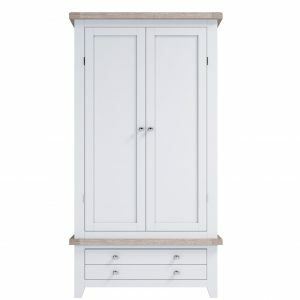 The stunning Chalked Oak Wardrobe with drawers, is beautifully painted in off-white with an ash coloured top. 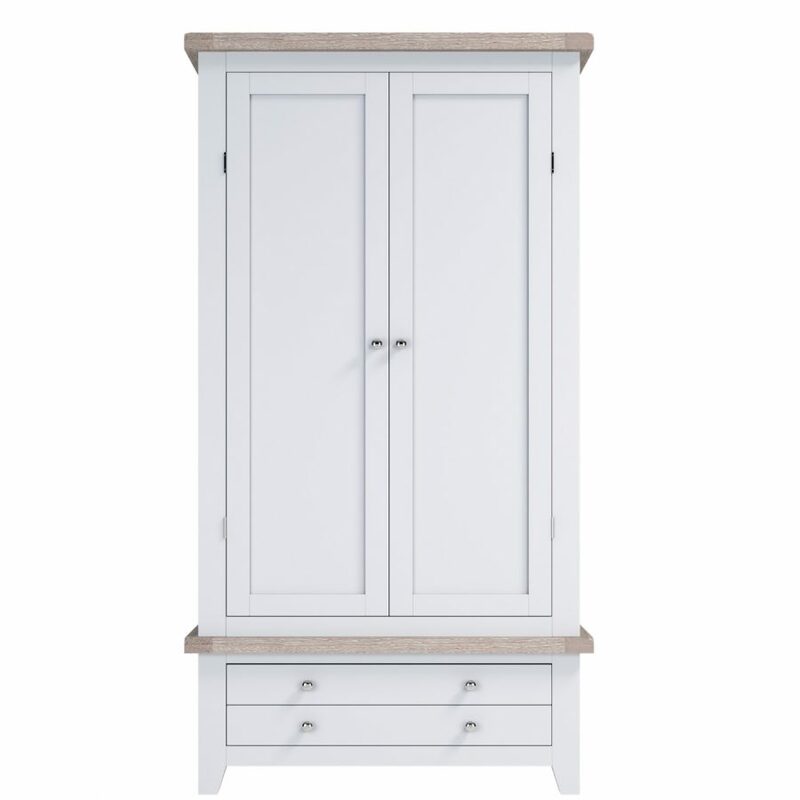 With 2 drawers at the bottom, this unit also provides plenty of storage space.